and be happy to serve." If you think HEROES only exist in comics, animation and fantasies, they are actually just like us-humans. Its kinda refreshing to see that aside from the glory given by Manny Pacquiao in the sport of boxing, we also get to encounter a hero by the name of Efren Penaforinda Jr. He does not have superpowers but he changed the world. He just received the honor of being CNN's Hero of the Year. Along with him are 28 other finalists (shortlisted into the top ten) that were also recognized as CNN Heroes. In this time where recession still lingers and causes households to tighten their belts, its a good thing there is a website that we can turn to so we rely in optimizing our resources and also create savings that we can use for the future. 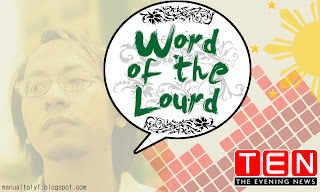 That is why the TIPID SQUAD is here! 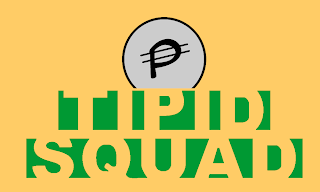 Now as the Tipid Squad Team has been completed we can now expect their website would be of great help to us. And with their debut, they have a contest! Check out the details below or you may click on the link! 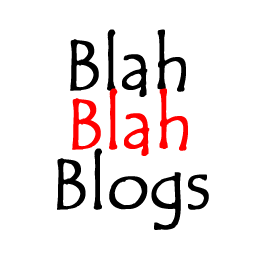 Blah Blah Blogs: PACMAN makes HISTORY! Its official, Manny Pacquiao makes history as the first boxer (and Asian) to acquire 7 world titles! And this one does not come easy, it took years of hardwork and training in various places in the Philippines and in the world. Of course as a Filipino I am truly proud of this achievement of Manny. And what makes it more interesting is the fact that aside from the championship belts, he will return home more richer, more famous, and more respected. Personally,I was kinda attracted to boxing because of two reasons: the Hajime no Ippo (Knockout) animé and Manny Pacquiao. Because both of them were really underdogs at first, then they also had personal struggles and habits that we see funny and amusing but also the determination to fight. Of course we would be more realistic with Manny and that's what he proved the fights he had with Dela Hoya, Hatton and now Cotto. Just to give you a excerpt of their training here is a video from HBO's 24/7. I admit I am usually late with some of my commitments, but I made a lot improvements with this problem. Knowing also fellow pinoys, we do practice Filipino time which is the opposite of what other nationalities view the value of time. For us, we believe in the saying "its better to be late than never". But time for them is really gold, as in literally which they translate into money. And also the infinite reason for being late is traffic...but have we ever thought of any other reason like I stayed up and woke up late? 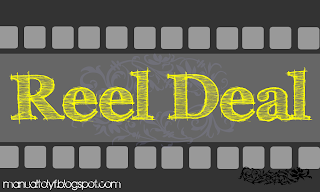 For now, this will be the new segment for movies in this blog, REEL DEAL! I do love movies of all genres, from cartoons to the *bleep bleep* and documentaries which some people would just sleep troughout the screening. Since I am a keen observer, even if that is a movie, I tend to check on the plot, details, technical effects and event the acting if they seem to be effective. To think that at these season, good movies will emerge but of course there will be the bad ones. So it is our job as a movie blogger to salvage(save) you from these horrible experiences. Not to spoil you but rather to create a greater interest on the movie itself that is commendable. I just remembered that it has been a year since Barack Obama was elected by the American people. So how is the US today... signs say that the recession is almost over. But there was even more problems like the health care issues, tensions with Iran, Iraq, Afghanistan and many more. It seems the problems wont end, yet Obama shows his substance as a great leader and still has the coolness to be game for any American celebration. Actually I wanted Hillary to be the bet of the Democrats, but since they are of the same boat and Hillary is Secretary of State, so I think it okay. So all I could say is, happy election day Barack! In a society that had a mentality that a whiter complexion is the dominant and wiser people, its hard to see why people still crave to be whiter from their original skin color. Was it caused by ridicule from friends who disgust dark skin? Or is it a racial imprint to us that the color determines if you are civilized or not. And with all of the products that promise a whiter you, they are endorsed by people who are already white. Yes its one of the biggest irony in the Pinoy society and yet its end or enlightenment seems to be not seen in our culture. Gluthatione anyone?